When we get our tree there is usually a pile of trimmed branches and I grab a few nice ones from different tree types- fraser firs, douglas firs, & white pines. 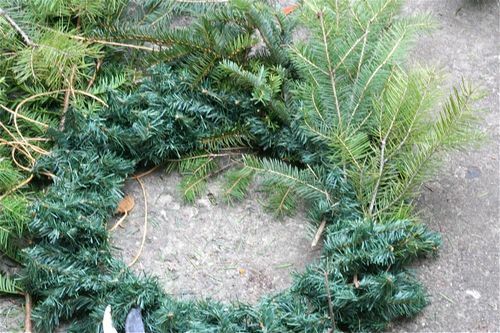 When I am ready to do my wreath, I get a few more textures from the yard- yews, boxwoods and if I still lived in the south I would be all over the magnolias! In the past I have searched the woods for berries but this year it's all about simplifying and I think just the greens is still beautiful. 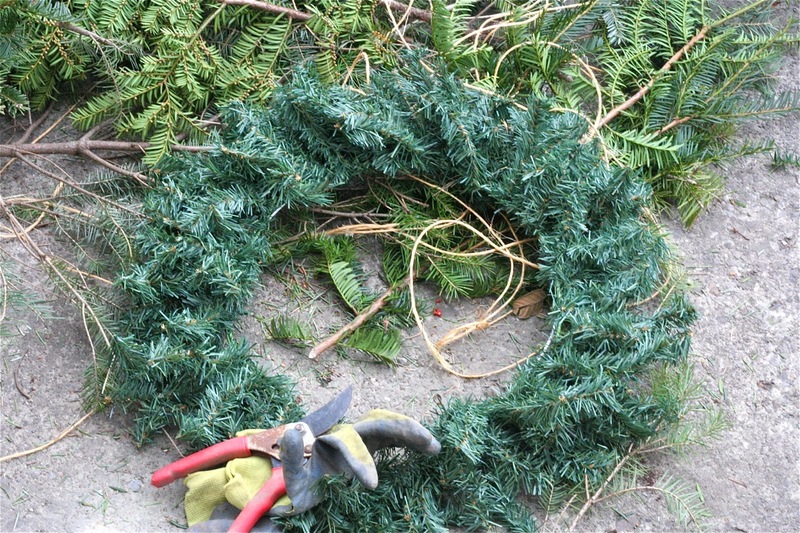 Then I have my garden gloves and clippers and I go to town snipping and layering! I start the dark green background greens and shove them into the fake green- using the wired fakeys to hold them in if needed. 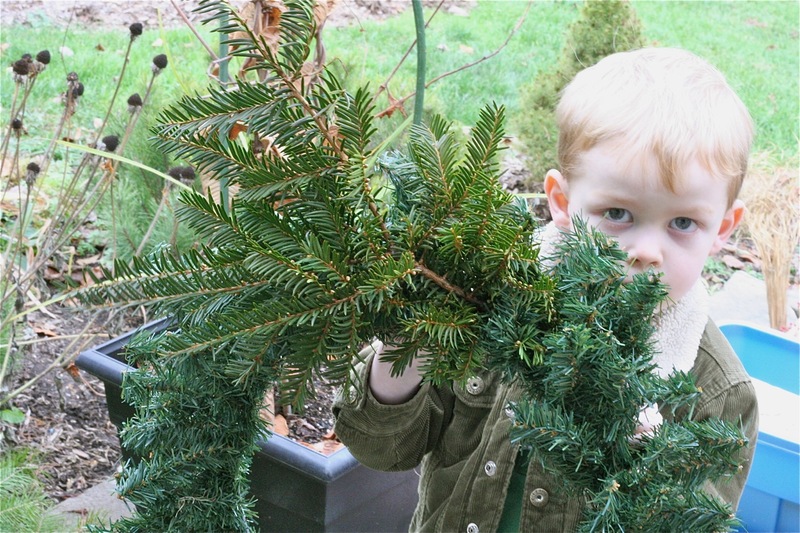 My little man helped me by chatting away and handing over branches. 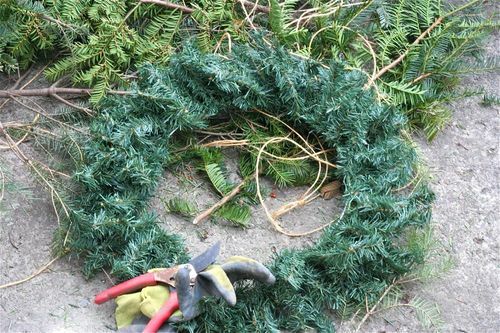 Keep layering more greens until you have a full wreath. 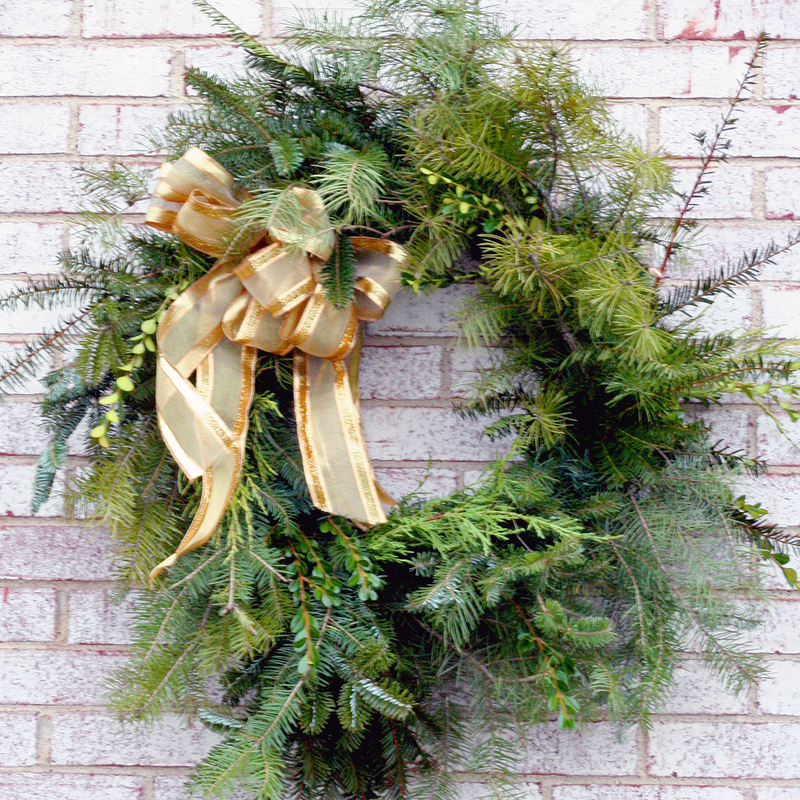 I add the green "bling" at the end- boxwood and gold juniper. Small pieces of those make a nice contrast. 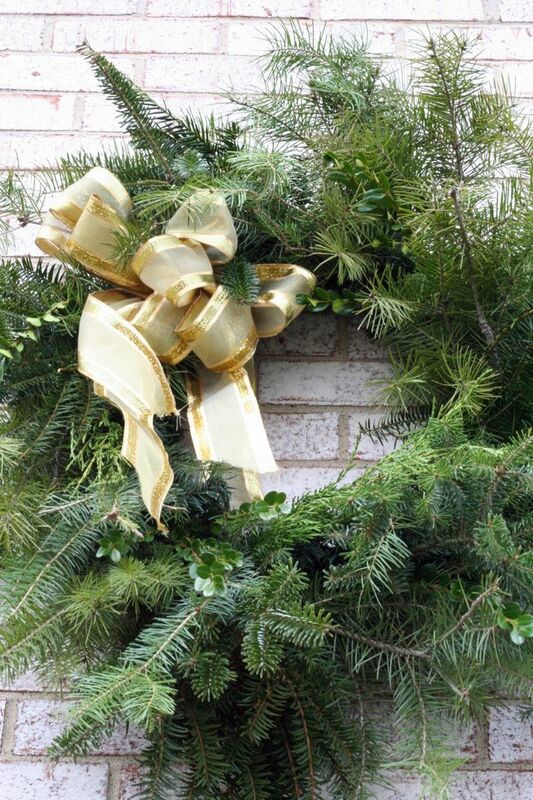 Stick a fluffy bow in there and you have an elegant wreath! See? No sign at all of the fake underneath. We had rain and snow last night too and it still looks great! This work well for garland too. I have done it on my bansiter many times. What are your holiday decorating tricks? Tell me some good tips!